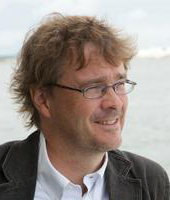 Kristian Lindgren is professor in complex systems. He has a background in engineering physics, but since his graduate studies in the 1980's he has been working with complex systems in a variety of different disciplines. Some main areas are (i) information theory for complex and self-organizing systems, (ii) game theory for evolutionary systems, and (iii) agent-based modeling of economic systems. Since the mid 1990's Lindgren has also been working in the area of energy systems with development of models of regional and global energy systems in a climate change perspective.Lindgren is Director of the Graduate school (PhD) for Complex Systems at Chalmers, and he is teacher and examiner in the International Masters Programme in Complex Adaptive Systems. Low-CO2 Electricity and Hydrogen: A Help or Hindrance for Electric and Hydrogen Vehicles? A spatial network explanation for a hierarchy of urban power laws. Urban growth from "first principles". There might be more projects where Kristian Lindgren participates, but you have to be logged in as a Chalmers employee to see them.